The UK’s leading home sample collection lab test provider has re-launched this month and will now provide tests for STIs, Allergies, Health Conditions and DNA analysis. LabsDirect offers an online alternative to a health centre or GUM clinic, providing a number of home sample collection test kits for various health concerns and conditions. LabsDirect has been providing accurate and discreet home-based STI tests since 2011, having originally been known as STIClinic, and in this time it has become a trusted and valued service for its users. This month, LabsDirect has re-launched, with a complete site redesign and the addition of a number of new lab quality tests that can be undertaken in the privacy of the home environment. It is now possible for existing customers and new visitors to order DNA, STI, Allergy, Health and Rapid Diagnostic Tests using a completely discreet and secure ordering and delivery process. There are a number of reasons why an individual may feel reluctant to visit a doctor’s clinic for a test in the first instance. With LabsDirect, it is now possible for these people to take the same MHRA-approved test in the privacy of their own home and have the sample analysed by an accredited laboratory, which ensures the results are as accurate as possible. The Rapid Diagnostic tests provide almost instantaneous results in the comfort of the home environment. Most people know that it is possible to establish paternity with a DNA test, but what is less well known is the fact that any biological relationship can be determined using DNA testing. LabsDirect now offers both peace of mind and legal DNA tests to establish maternity, siblingship, Y-STR male lineage, X-SV female lineage, twin zygosity and avuncular relationships. They also provide DNA Identification Profiles and Ancestral Origin tests. All that is needed for a DNA test is a saliva sample, the collection of which is very simple and completely painless. Allergy testing involves a simple finger-prick test in order to provide a small blood sample which can accurately determine whether an individual has an allergy or intolerance to a particular food. LabsDirect now offers four of these tests: a Food Allergy Test, an Inhaled Allergy Test, a Cerascreen Food Intolerance Test and a 120 Food Intolerance Test. These tests all involve the individual collecting the relevant sample, such as blood or urine, in the home and then sending the sample to the laboratory for analysis. This analysis can then indicate whether a certain condition is present or not. LabsDirect now sells an Anaemia Test, an Arthritis Test, an Osteoporosis Test and a Thyroid Test to provide early indications of possible serious health concerns to aid in the diagnostic process. These kinds of tests are the only tests that provide almost instant results, without needing to wait for a laboratory analysis. These kinds of tests can monitor blood pressure and temperature, screen for alcohol levels, confirm pregnancy and indicate the onset of menopause. Also available are Ovulation Tests, Cholesterol Tests, Diabetes Tests, Family Health Screening Tests and Meningitis Emergency Kits. 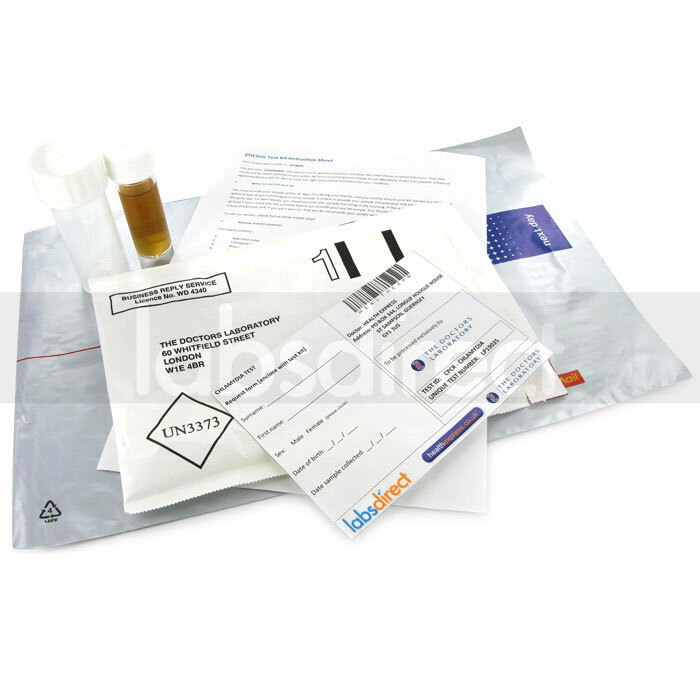 LabsDirect is an online supplier of home sample collection lab tests. Their service provides customers with a discreet and efficient way in which to take a test with the high quality guarantee of certified laboratory analysis. LabsDirect offers a variety of home sample collection lab tests to diagnose STIs, Allergies and a range of Health conditions. They also offer DNA tests and Rapid Diagnostic Tests, the latter of which provides results within minutes. For more details, visit the website at http://www.labsdirect.com/uk or contact LabsDirect on 020 7084 7290 or via email. LabsDirect is a brand name of Hexpress Healthcare Limited, 138-140 Mitcham Road, London, SW17 9NH Phone: 020 7084 7060.